Washington Rallying the Troops at Monmouth, c. 1852, oil on canvas by German American artist Emanuel Gottlieb Leutze (1816–1868). Image courtesy of Wikimedia Commons. “The father of our country remains a moving target for historians,” Janet Maslin writes in a review of Washington: A Life, the blockbuster biography by Ron Chernow. Jill Lepore agrees, “No biographer of George Washington has failed to remark on his inscrutability.” Although Chernow endeavors, in his own words, “to make him vivid and immediate, rather than the lifeless waxwork he has become for many Americans,” he admits that Washington “joined in this conspiracy to make himself unknowable.” Yet Washington’s famously dispassionate prose often made him an ideal chronicler of the details of a military campaign. In mid-June 1778 Washington discovered that the British troops commanded by General Henry Clinton in Philadelphia were preparing to abandon the city and move their command to New York. The dilemma for Washington and his staff was whether the exhausted Continental army could take advantage of the opening to attack a retreating force. The majority of the generals (scorned as a “most honorable society of midwives” by Alexander Hamilton) favored caution over engagement, but Washington decided to send four thousand men against the British. He offered the command to General Charles Lee, who was recently released in a prisoner exchange. Opposed to the decision to attack the British and convinced it would fail, Lee turned the offer down as unworthy of his status. The young Lafayette, eager to prove himself, accepted command. Then Lee, apparently fearful of losing the laurels of victory to an upstart, changed his mind, so Washington forged a compromise and named him as Lafayette’s nominal superior for the battle, which occurred on June 28. It was a recipe for confusion and, as nearly always happens in warfare, little went according to plan. The British, expecting an attack, posted their best soldiers in the rear. In the stifling summer heat, Lee sent his troops on an obligatory but feeble attack and Washington soon discovered to his dismay that Continental forces were in retreat. Several eyewitnesses, including Lee himself, attest that one of the rare moments when Washington lost his self-control during the war was when he encountered the fleeing general. (“Never have I enjoyed such swearing before or since,” one later recalled.) 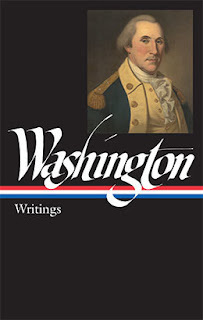 In his biography, Chernow makes special note of this display of “the temperamental side of Washington that he ordinarily kept well under wraps.” It was at that moment Washington took personal command, rallied the retreating forces, and turned them around—all while enduring enemy fire and having his own horse die under him from the heat. 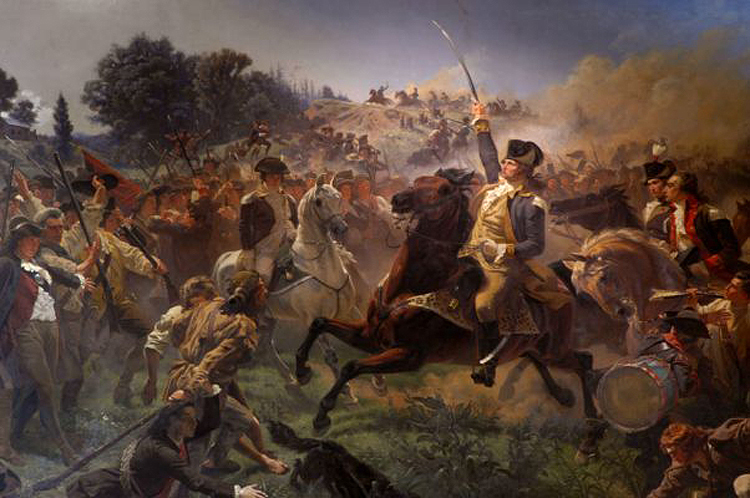 Although the Battle of Monmouth was basically a draw, both sides were able to claim victory: Washington averted a near-catastrophe and showed that his ragtag troops were the equal of the enemy on the battlefield, while the British achieved their ultimate objective and reached New York. As for Lee, the battle was hardly over before he began telling others that Washington had “sent me out of the field when victory was assured” and that any successes that day were “entirely owing” to his own command. Washington responded with a written, angry rebuke, after which Lee virtually dared his commander to court-martial him—a challenge that Washington wrathfully fulfilled. Among the many things remarkable about his subsequent report to the president of the Continental Congress is how minimally he describes “the peculiar Situation of General Lee,” how scrupulously he assigns credit and praise to his senior staff, and how steadfastly he avoids mentioning his own bravery and conduct on the field. Sir: I embrace the first moment of leisure, to give Congress a more full and particular account of the movements of the Army under my command, since its passing the Delaware, than the situation of our Affairs would heretofore permit. . . . If you don't see the full story below, click here (PDF) or click here (Google Docs) to read it—free! I had someone once tell me that Georg Washington wasn't such a great general...he never won a battle. I had to laugh. I remarked back to this moron, neither did Ho Chi Min, but he kicked our butts out of Vietnam didn't he? As long as Washington made life miserable for the English troops, was able to disrupt their operations and interfere with their supply lines, we would eventually wear them down which we did. Washigton was the epitiome of a great guerilla warfare general. Both the Germans in France in WWII and the Americans in Viet Nam should have known that conducting war in a foreign country with long supply lines and an indiginous population willing to fight against the intruders is a bad idea. We're experiencing the same thing in Afghanistan. It remains to be see if Iraq will succeed on their own. Washington exaggerated his victory, but it was a victory. Most historians label Monmouth a "draw," but I am not one of them. Clinton's memoirs make it clear that he wanted to engage Washington in a decisive battle on his march from Philadelphia. Washington was very perceptive to pick up on Clinton's slow march as a sign that he wanted to engage in battle. Washington won the battle by every measure of the day: he held the field at the end of the battle and the British withdrew under cover of darkness. The notion that Clinton's sole objective was to retreat to New York is belied by his own testimony that he stopped at Freehold (Monmouth) for three days waiting for Washington to attack him there. No general who's sole object was withdrawal would have done this. author of "The Southern Strategy: Britain's Conquest of South Carolina and Georgia, 1775-1780"